Save your back by hiring a professional Sorrento sod delivery company! If you want to avoid pulling out your back, you should take the time to hire a professional Sorrento sod delivery company. 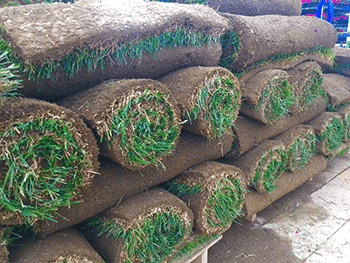 Many people think that buying and picking up sod is an easy task, but this is not so. It is a very labor-intensive job as the sod is very heavy and it can cause you to hurt your back and overextend yourself with the constant lifting and squatting. When you hire a professional, they have the equipment, skill, and expertise to know the best way to transport the sod for it to then be efficiently installed. All you will need to do is meet with them to see what type and how much sod you will need and then let them know when to deliver it. You will not have to worry about renting a truck or trailer to take care of it or you overextending yourself and pulling out your back. While you are looking for a professional company to take care of the sod delivery, you should also consider if you also want to have them install it as well. Some companies offer delivery only, while others require you to hire them to install the sod. If you hire them also to install it, they may give you a better deal on the delivery of the sod. It is also important to note that each company offers various types of sod, so make sure you research them before choosing one. If you do not ask these questions ahead of time, you may be in for a surprise, or you may end up spending more money in the long run. So, if you want to avoid hurting yourself, you need to hire a professional sod delivery company who has the sod and price that will work best for you. Sod installation is not for the faint of heart! 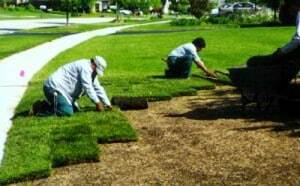 When it comes to sod installation, like sod delivery, it is a very labor-intensive job and should not be done if you cannot do strenuous labor. It will require you to do a lot of heavy lifting and standing and then squatting. It is essential that if you have any health issues, that you will consult with a physician before you attempt to do this yourself. If you feel this is too labor-intensive, then you should consult with a professional sod installation company in Sorento. They will come out to your home and assess your yard including doing a pH test. This test and assessment are important because it will give them a better understanding of what type of sod will work in your yard as it is not all the same. Once they have shown you what kind of sod will work best in your yard, they will then discuss with you the maintenance you will need to perform with each type. Finally, they will discuss what overall appearance you are hoping to achieve as well as how much traffic your yard will be getting. After they have this information, they will be able to recommend the best type of sod for you. Zoysia – Green all year and requires a lot of maintenance including monthly mowing and fertilizing as well as regular watering. There are two varieties of Zoysia including Jamur and Empire. St. Augustine – This sod is dark green and requires a lot of maintenance including monthly mowing and fertilizing as well as regular watering. There are several different varieties including Bitterblue, Floratam, Captiva, Palmetto, Seville, and Sapphire. Artificial Turf – Synthetic grass which looks natural and is long lasting as well as eco-friendly. Centipede -This sod is light green and slow growing. This sod is very low maintenance, but it is not good for high traffic areas or near the beach. Argentine Bahia – This sod requires very little maintenance, and once it has been established it can survive on rainwater alone. It is susceptible to bare spots and weeds. Celebration Bermuda – This sod is dark green and is drought resistant. It is ideal for high traffic areas. Tifway 419 Bermuda – This sod is ideal for high traffic areas and can be typically found on golf courses. Once you know which sod will work best for you and your yard, you can work with the professional sod installation company to schedule a date that works for you both. A bonus of working with a professional is that they offer a warranty on their work, so you can feel confident that they will do an excellent job with the installation and your Sorrento yard will look outstanding without you having to lift a finger.